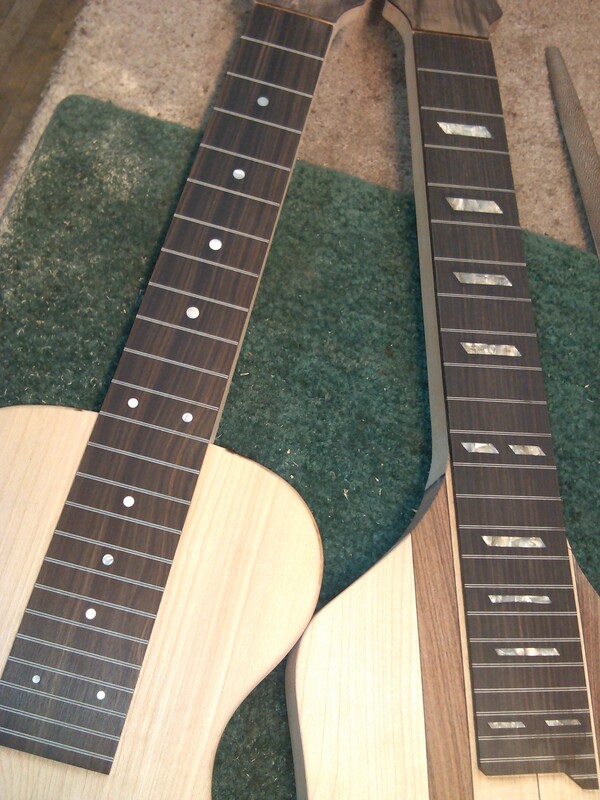 Two new Hepcats in the works! This Lap Cat will be black with a blue glitter pickguard! A Lapster in translucent cherry red is on the way!